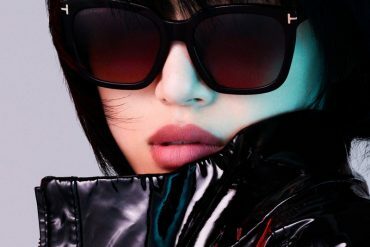 Since its debut in 2014, Porter has produced a multitude of memorable covers featuring the likes of Natalia Vodianova, Imaan Hammam and Bella Hadid (to name a select few). More recently, Porter‘s covers starring Anja Rubik and Lupita Nyong’o have been declared a success by our forum members, and now the magazine has another hit on its hands with the unveiling of the Winter 2018 issue. Julianne Moore makes her Porter debut, photographed by Camilla Akrans and styled by Cathy Kasterine, cozying up in an oversized Givenchy coat in the warm and inviting cover shot. This is another issue we’ll be adding to our Porter collection…most of us, anyway. “This is glorious. Obsessed! !” said forum member happycanadian upon checking out the cover. “Oh yeah, here for this,” voiced Miss Dalloway. “Me too! I am loving how it resembles those fantastic covers Lucy Yeomans would give us at British Harper’s Bazaar. This really does feel like a perfect cover for this time of the year, and those colors are gorgeous,” pointed out vogue28. “It looks good, the stare seems a bit cuckoo but I still like it,” said kokobombon. “Yeah, the content better be spectacular because this cover simply doesn’t even look vaguely passable to me at all. It’s not only too close a,closeup, but they’ve removed all her signs of aging. Not even L’Oréal did that. Pretty shameful considering this magazine’s progressive stance,” remarked Benn98. “Is it just me or does her left eye look wonky?” asked MON. Another step in the right direction for Porter, or a total miss? Share your thoughts with us here. The post Julianne Moore Cozies Up in Givenchy on Porter’s Winter 2018 Cover appeared first on theFashionSpot.